If there’s one thing about growing up in the south that continues to keep us humble, it’s that many of us were raised to firmly believe that giving back to others and continually striving to make the world a better place is one of the pillars of a life worth living. In this blog, I will publish things that I come across that I feel are worth sharing. “Racing Heroes Charity Auction Fund – Because families are here for six months or longer, finances can become a concern. The Racing Heroes Fund seeks to alleviate this. 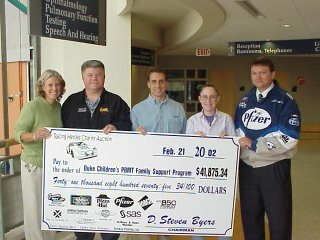 The 2002 Racing Heroes Auction raised over $42,000 to help families in need by auctioning NASCAR memorabilia among other donated gifts. One hundred percent of all money goes to families in need as administered by the unit social workers and Family Support Program director. 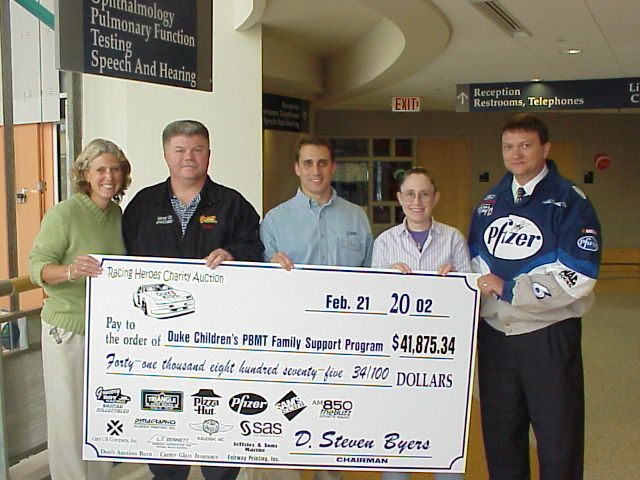 Duke does not keep any money for administering the program and all work and expenses are volunteered.”The auction this year will be held on December 2, 2006 at 2pm at Ray Price Harley Davidson. If your family is interested in racing or other local sports memorabilia (Duke and Wolfpack auction items available) then please pass info about this event on to them.